Rapid technological advancements have the ability to positively or negatively impact corporate growth and success. Professional leaders and decision makers must consider such advancements when designing and implementing new policies in preparation for the sustainable future of the business environment. 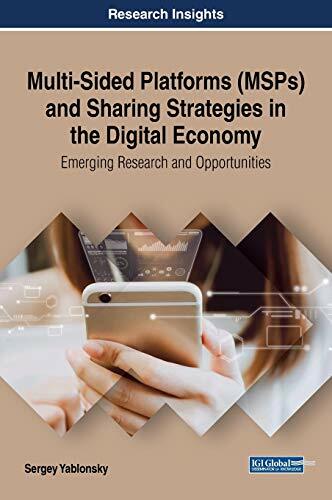 Multi-Sided Platforms (MSPs) and Sharing Strategies in the Digital Economy: Emerging Research and Opportunities is a critical scholarly resource that examines platform strategies and business models with a focus on multi-sided platform business models. Featuring coverage on a broad range of topics, such as digital collaboration, business ecosystem, and platform value chain, this book is an ideal resource for managers, researchers, academics, practitioners, and students interested in recent trends in business models in the digital age.